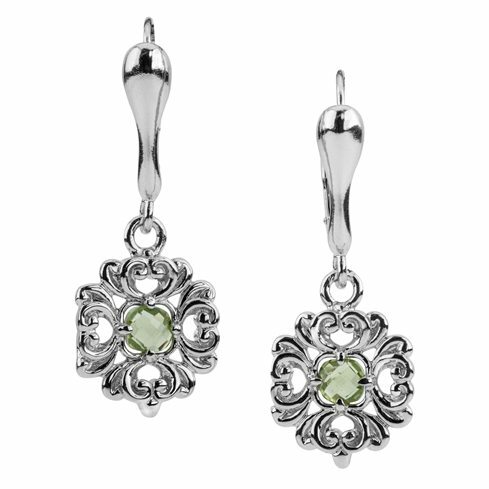 Peridot is a yellowish-green gemstone made of the mineral Olivine. 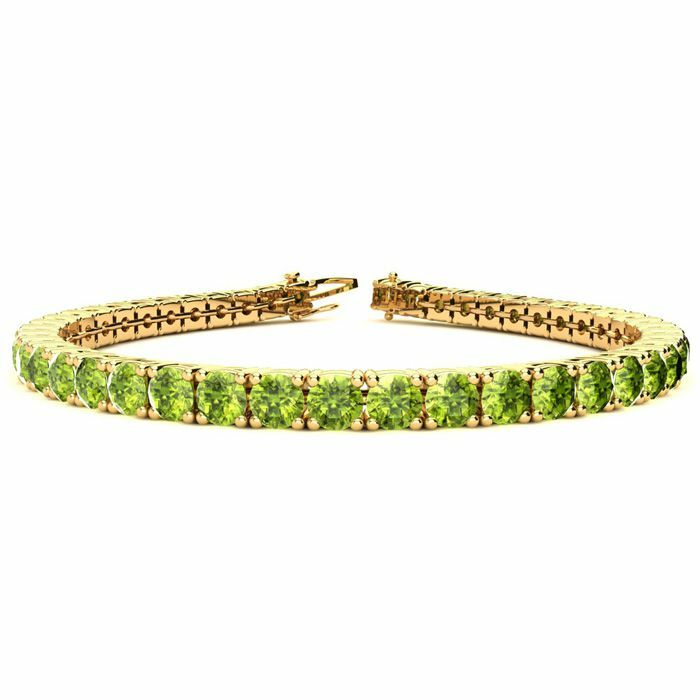 This classic gemstone bracelet features shimmering peridot gemstones. The 6 inch bracelet contains 39 gemstones at 7.80 carats. The 6.5 inch bracelet contains 43 gemstones at 8.60 carats. The 7 inch bracelet contains 46 gemstones at 9.20 carats. The 7.5 inch bracelet contains 49 gemstones at 9.80 carats. The 8 inch bracelet contains 53 gemstones at 10.60 carats. The 8.5 inch bracelet contains 56 gemstones at 11.20 carats. The 9 inch bracelet contains 59 gemstones at 11.80 carats. This bracelet is approximately 3.8mm wide and is crafted in 14 karat yellow gold. This bracelet has a secure, box with tongue and safety clasp.